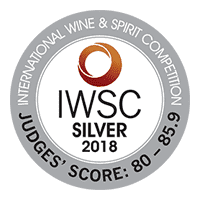 … Such were the recent words of a fellow wine writer, one very knowledgeable about wine, and one whose opinion I respect immensely on general wine-related matters. He did not offer any caveats; his was a broad proclamation that rosé, as a category, is not serious, nor worthy of my attention. Growth in rosé consumption has been mind-boggling. The latest figures from Nielsen Research and French Customs indicate that sales in Provence Rosés alone increased 55% by volume and 60% by absolute value during the twelve months ending July 2016, as compared to 34% on volume and 40% on value for the same period a year earlier. In France, one of every three bottles of wine consumed is a rosé. With 2017 anticipated to be such a monumental year for rosé, another milestone on its transformation from poolside to white-linen-covered gastronomic tables, perhaps it’s time we revisit the debate. I will focus on rosé from Provence — the wine region renowned for their pale, dry rosés — with an article to follow about rosé from Rhône’s highly regarded Tavel appellation, known as “France’s 1st Rosé”. 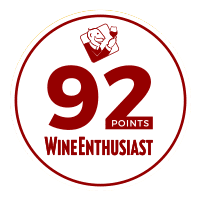 I decided I would chat with a few informed sources – some in the wine business, others just in the habit of drinking fine wine – to collect their thoughts on the subject of rosé as a “serious” wine. Here is a selection of responses…so you’ll be prepared should someone take a swipe at the rosé in your glass this summer. Provence rosé is known for its pale color, marked expression of fruit, and delicate balance of acidity and sugar, lending the impression of sweetness without intense sucrose. “Provence is the benchmark for rosé and, with more and more competition, the producers continually work to improve their wines to retain their leadership role and reputation,” said Gilles Masson, Director of The Center for Research and Experimentation on Rosé Wine in Vidauban, Provence. I’ll be the first to say there are plenty of perfectly horrid rosés out there, populating the shelves of grocery stores and filling the carafes of rosé served in French cafés (which is why a couple of ice-cubes are usually found in your glass!). As with any wine, not all rosés are serious, nor are they intended as such. The long-standing low expectations for rosé – among many of its fans who are essentially looking for a thirst-quenching drink laced with alcohol – coupled with the huge influx of tourists who suspend all judgment while on vacation have kept, until recently, the spotlight trained on the cheaper end of the quality continuum even while other winemakers are producing quality rosés. As Stephen Cronk, co-owner of Mirabeau en Provence with wife Jeany Cronk, puts it, “The reality is that there is a country mile between the watery, bland, and often over-acidic rosés from lazy or cynical producers and the sublime, more-ish nectar that is coming from the better rosé producers around the world,” adding that nowhere is this more apparent than in Provence. 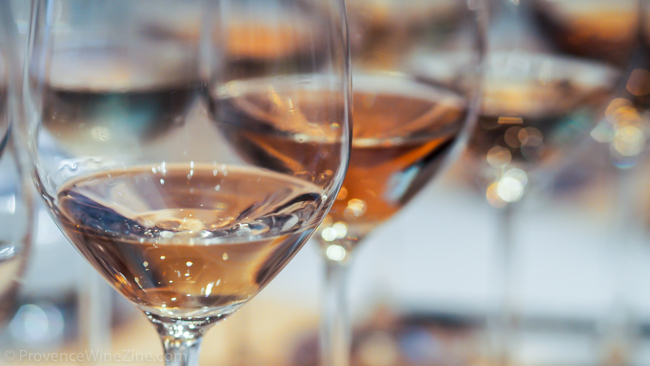 So, why overgeneralize about all rosés? While the category of rosé has evolved to include many serious rosés, its marketing has not. “Basically, rosé made its name and reputation on being a quaffing wine,” Master of Wine Elizabeth Gabay wrote to me in a series of email exchanges. “Think about the marketing of rosé – on a beach, by a pool, on a yacht, [as a] lifestyle [and] compare that to other quality wine regions where critics talk about exciting winemakers, winemaking techniques, etc.,” Gabay wrote to me. The focus, she explained, has always been on how pretty rosé is—almost as if “pink” is the only reason to buy it. While this marketing strategy (arguably) helped to transform rosé into a commercial juggernaut, a tour de force of profit in a previously, rather undistinguished wine region of France, it also came with the unintended consequence of undermining the perceived depth (seriousness) of the category. In many ways, serious rosé is a victim of its own success. Most experts agree the quality of Provence rosé has actually increased over the past two decades. 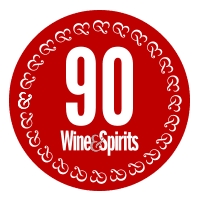 “The winemakers are serious about making quality wines and the results are a very diverse palate of quality rosés – some are simple ones for everyday enjoyment and others are made to be enjoyed with gastronomic meals,” Masson said. The Director went on to say that The Center for Research and Experimentation on Rosé Wine, founded in 1995, by “a few special winemakers who believed in the potential of Provence rosé when others didn’t,” has proved an unwavering ally to those rosé producers (around the world) who are committed to quality, consistency, and productivity — that is, winemakers who make serious wine. “If the quality was not there, this would have been a three to five year blip, a fad,” Masson said. So, for those rosés that are serious, in the minds of many of the experts and aficionados I interviewed, what makes them serious? 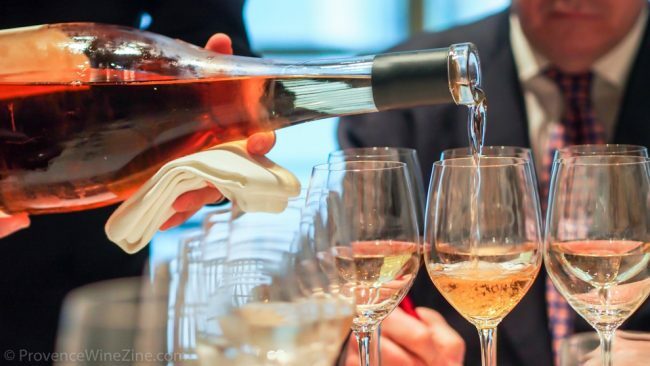 First, when tasting a good rosé, we can apply the same range of vocabulary used to describe reds and whites – including discussion of nuances in color, the intensity and variety of aromas on the nose and flavors on the palate, the general impression in the mouth, and the finish. Why else would there be nine appellations with four geographic denominations (sub-appellations) and provisions for additional denominations in the works? Each appellation signifies a distinct terroir (and specifies vineyard and winemaking practices). The sub-appellations, all of which fall under the largest appellation, Côtes de Provence, further delineate the area’s terroir and practices, and suggests a potentially strong link between place and the characteristics of the wine that hails from that place. Patrick Léon, the world-renowned winemaker of Château d’Esclans fame (in addition to his unparalleled global pedigree in oenology), said understanding the terroir was one of his first tasks when Sacha Lichine, who had just purchased the château, challenged him to make “the best rosé in the world” back in 2006. 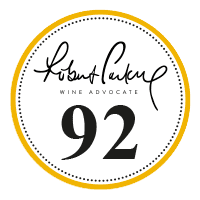 Léon painstakingly identified over 40 different parcels of the 52 hectares (130 acres) of vines and vinified each parcel independently in the corresponding number of separate barrels. Léon and Lichine originally intended to make two rosés, but the terroir and its interaction with the grapes was so distinctly different across the different parcels, they ended up with four rosés (the same four that comprise the d’Esclans portfolio today). The top two rosés of the line-up, Garrus and Les Clans, are characterized by significant structure, richness, and complexity, and each is distinguished in part by its terroir. Fourth, rosé in Provence is produced by using the same vinification processes used to make white wine (generally referred to as a serious category of wine, yes?). Fifth, regarding Provence rosé, in particular, its seriousness is underscored by the fact that rosé production in Provence is, as Pont said, the “main aim” of the region. 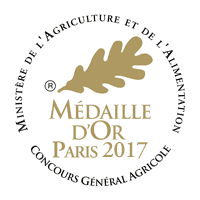 “Other appellations, benefitting from the world passion for the consumption of rosé wines, have also launched into the production of rosé wines. But these appellations are, above all, red wine producing areas, so rosé for them is a…byproduct,” said Pont. Indeed, almost 90% of AOP wine produced in Provence is rosé. Cronk, mentioned above, who came to Provence to realize a life-long dream of making wine and is now an award-winning rosé producer, also wrote about producing rosé as a secondary interest: “…given that rosé is made from red grapes, many strapped producers therefore appreciate the revenues coming in earlier than with their red wines” that may not even be released for a couple of years. In Provence, unlike primarily red-producing regions where rosé is made as a secondary interest, the grapes are picked at the ideal maturation to make rosé instead of when the grapes are at the right maturation to make red wine; this factor is essential to ensure the balanced fruit and acidity for which Provence rosés are famous. Furthermore, the best vines – those generally reserved in other regions to make red wine – are devoted to rosé in Provence. These vines are often quite old (e.g., over 90 years old at Château d’Esclans for their famed Garrus rosé) and very low yielding but with high flavor concentration. 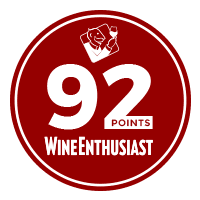 It is worth reminding (at least some readers) that these are the same varietals (especially Grenache, Syrah, and Mourvèdre) that would have gone to top quality reds in other appellations. The UK’s Matthew Jukes knows those 90-year-old Grenache vines at Château d’Esclans well and he recently said that if the grapes from those vines were vinified as a red wine, it would be the biggest, darkest, heaviest, most powerful red wine one can imagine; only a highly dedicated rosé winemaker would use them for rosé. Rosé producers in Provence have made huge investments in technology to ensure selection of the finest grapes from those vines (e.g., using double sorting procedures and electronic eye sorting) and to optimize their potential in the rosé that will eventually be poured into your glass (e.g., advanced mechanisms to control critically important factors like temperature and oxidation). Furthermore, Provence rosés comprise 64% of the total volume of organic rosé sold worldwide. 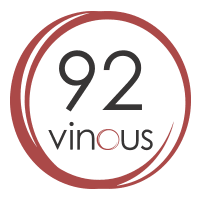 Investing in organic viticulture and viniculture – not to mention the many biodynamic wineries in Provence – underscores a strong (but not necessary) commitment to producing serious rosé. For Patrick Léon, food and wine are so intertwined that he said he would never finalize the blending of the top-tier wines at Château d’Esclans until he has had them with food. In April, I attended a vertical tasting of Château d’Esclans’ Les Clans and Garrus rosés at a luncheon at Le Bernardin, Manhattan’s prestigious French restaurant (three Michelin stars). 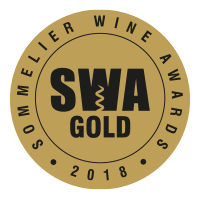 I’m going to go out on a vine here, but I don’t think Wine Director Aldo Sohm – recipient of the “Best Sommelier in America” award in 2007 – would allow any wine that isn’t serious, in his estimation, to accompany Chef Eric Ripert’s extraordinary seafood. Just guessing. We were treated to Les Clans rosé (2015) with Seafood Truffle Pasta, a fabulous mélange of crab, scallop, lobster, atop tagliatelle and topped with a black truffle emulsion. We enjoyed Garrus rosé (2015) paired with Poached Halibut surrounded by asparagus, spring peas, fava beans, and morels. These pairings were not only exquisite – they were synergistic. Rosés have long suffered the wrath of sommeliers. 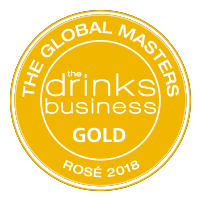 A few years ago, a rather famous sommelier sneered when I suggested that there were now enough serious rosés to demand a separate category on the wine list (rather than being lumped in with red or white wine or even sparkling wine…what sense does that make?). This attitude and rosé’s placement on wine lists are definitely changing. Rosé from one or another of the Domaines Ott estates is often on the wine list in restaurants of a certain caliber. In a recent conversation with Romain Ott, Château Léoube’s highly regarded winemaker, we discussed what makes rosé a serious wine. Ott, a fourth-generation winemaker from the illustrious Domaines Ott family of winemakers, was initially a bit perplexed by the question and wondered if he had heard it correctly. Understandable, I suppose, because his family has always taken rosé seriously: his great grandfather, Marcel Ott, was devoted to producing high quality rosé as long ago as 100 years and, by 1938, he thought his rosé was so good that he shipped it across the Atlantic, probably the first shipment of rosé to reach our shores. Talking early in February over a tasting of the latest vintage of Léoube rosés, Ott said, “My rosés are easy to drink but serious at the same time.” Chuckling, he added, “It’s not my aim to make fun wine.” Léoube rosé, first released in 2008, is now on the wine lists of top restaurants in New York City, Los Angeles, San Francisco, Malibu, Santa Barbara, and Napa, as well as in Hawaii. Finally, and arguably most important, the broader wine-engaged community is recognizing the aging potential of some rosés. Can rosé age like the great red and white wines? The simplest answer is “no,” most cannot. But some can. I hasten to add that this is not a requirement of a good rosé. Viktorija Todorovska, sommelier and co-author of Provence Food and Wine: The Art of Living, concurs but reflected on this subject with some concern: “If rosé is to be treated seriously, will it need to be ageable?” No, but it is a characteristic that, if present, indisputably nudges rosé into the serious wine category with reds, whites, sparkling, and fortified wines. While most rosés cannot reap the benefits of aging without compromising the freshness that makes it so well liked, some rosés can and do benefit from a little time in the cellar: those with sufficient structure or tannins from contact with oak; those that include, in the blend, certain grape varieties or grapes from old vines; or those made from juices that had longer contact with skins and seeds. Variation among vintages remains challenging to study — seldom is there a vertical collection of rosés to taste, leaving one to rely on notes without benefit of direct comparison, and the unreliable evidence of memory – but vertical tastings can offer a compelling solution to this. Earlier this year, my husband and I, were invited by Matthieu Négrel, co-owner of Mas de Cadenet, to an amazing vertical tasting of rosés de garde going back as far as 2002. The d’Esclans-Bernardin luncheon featured an incredible vertical tasting of Les Clans (2011 to 2015) and Garrus (2010 to 2015). The two experiences unequivocally demonstrated that rosés have the capacity to age. These wines not only held up, but they evolved. In fact, at the Berdardin tasting, all those around our table agreed that the 2015 Garrus, while superb now, will be even better in a few years. American winemaker Tom Bove, former owner of Miraval and current owner of several Provence estates (including Château La Mascaronne, Château Bomont de Cormeil, Château Mira Luna, and Domaine le Bernarde), told me that it may only be by accident that people begin to appreciate the aging capacity of some rosés; that is, by forgetting about a bottle in one’s cellar. Bove has tasted a lot of rosé but it wasn’t until very recently that he tasted an older vintage of his own rosé (left in a friend’s cellar) and he was quite smitten. “This is what’s going to happen,” Bove exclaimed. “People are going to forget it in their cellars and the good ones are going to be good.” This may be the only way some folks will be convinced. In the meantime, Masson said that The Rosé Research Center is studying rosé de garde and what can be done to enhance the aging potential to provide “des belles surprises” in the glass. All signs point to continued improvement in rosé quality in Provence and, for that matter, around the globe. Elizabeth Gabay, one of just 350 accredited Masters of Wine in the world, has chosen to specialize in Provence rosés but her expertise and interest is clearly not limited to this region. In her writing and masterclasses, she rhapsodizes about rosés from relatively obscure regions in Hungary, Turkey, and Israel, for example, and she is currently writing a book about rosés from around the world. Several years ago, Pierre-Olivier Camou, wine consultant at Cognac One and former Sales Manager at Sherry-Lehman, both in New York City, opined that when people understand rosé, they will demand more quality, and then, the third color of wine will be clearly seen as “real” wine, leading to its consumption year-round. This is happening. My thanks to all those who contributed their valuable insights for this article. Many of you are not mentioned by name and may not have even realized that a single comment you made or question you posed in our hours-long interview piqued my curiosity. Others helped shape my thoughts more directly by providing support for my positions as well as challenging them, sometimes quite vigorously. I am very grateful to all.